The fish has to willingly take that hook into its mouth to be a legal catch. Snagging a fish on its forehead, belly, back, fin, chin — wherever — is not proper, and you can't keep such a catch. This Klamath Chinook looks chin-caught. Going fishing? Or maybe just for a scenic wander along some lonesome, lovely riverbank? Feeling the latent cop in you itching to bust out and pop some badboy(girl) bootie? "Snagging, also known as foul hooking, occurs when an angler catches a fish using hooks embedded outside of the mouth," says a CDFW news release. "This can occur either intentionally or accidentally, while using various types of fishing gear and techniques. 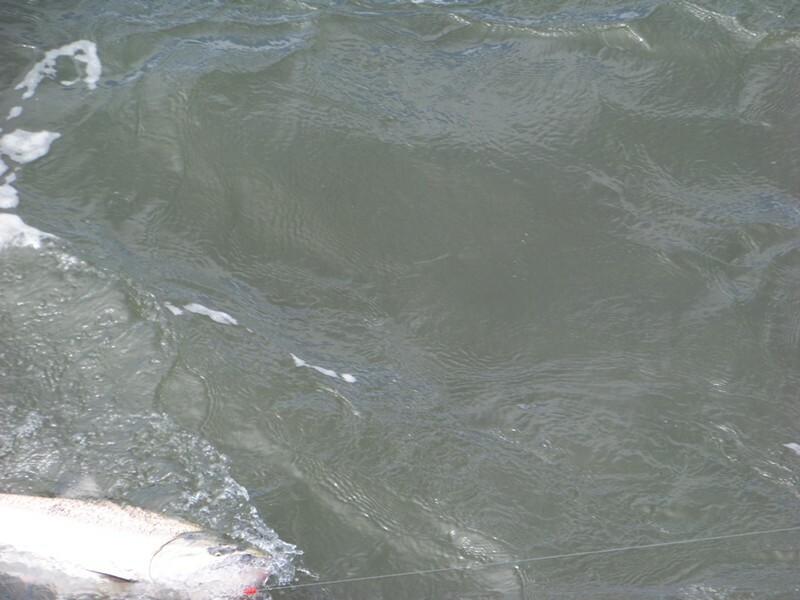 Fish caught by this method are often injured or killed in the process. Anglers in California may not legally keep snagged fish. Current angling regulations include seasonal closures and gear restrictions designed to reduce the incidence of snagging." Your duty, which you will accept, is to send your "comments, concerns and information on waters where snagging is taking place." The department also wants your thoughts on what to do about this problem. Send all of this to snaggingcomments@wildlife.ca.gov. So, consider this mission more along the lines of tattling, not apprehending. Now fish on.